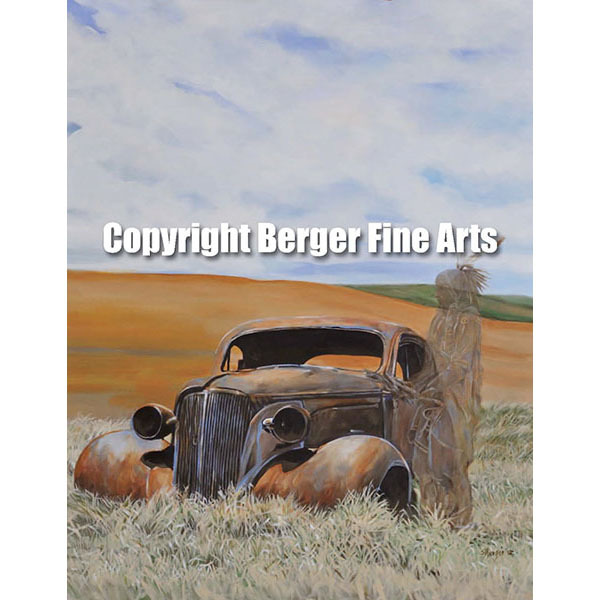 I have been working on this series that incorporates rusted hulks of cars abandoned in the middle of nowhere and the Native Americans of years past that use to inhabit the areas where you find these old delapidated rusted out vehicles. I always wondered how these vehicles got to their final resting place (or should it be rusting place?) and how long before they totally disintegrate back into the earth. They almost look like bones that scavengers have pick through over time.